Blockbuster movies have always had something other genres of film don’t: the ability to tell epic stories. They do so through fictional worlds brought to life by detailed and intricate special effects; plotlines with a grand sense of scale; and, as a result of these qualities, themes that tackle ambitious and complicated ideas. A blockbuster, with its massive budget and near-limitless sense of scale, always has the potential to be the filmic equivalent of Homer’s “Odyssey” or Dante’s “Comedy,” telling a story that that deals with larger-than-life questions in a way relevant to its audience. Yet, more often than not, Hollywood executives are only interested in the simple-minded and glossy films that make a lot of money. Many of the superhero movies currently breaking the box office provide a lot of entertainment, but hardly any food for thought. Some big-budget films have tried to buck this trend, such as the recent “Logan,” a movie with a profoundly emotional story punctured with intense action sequences. But “Logan” was less of an epic and more of a character study, albeit one with more bloodshed than the average indie flick. All of which is to say: it’s remarkably disappointing that “Blade Runner: 2049” is bombing at the box office. The film, while not perfect, still feels like modern cinema’s best attempt to create something truly epic, eschewing the clichéd plotlines and empty themes of other similarly budgeted films. It has a story to tell, one with profoundly complicated and relevant questions to answer, and beautiful scenery to back up its underlying narrative. 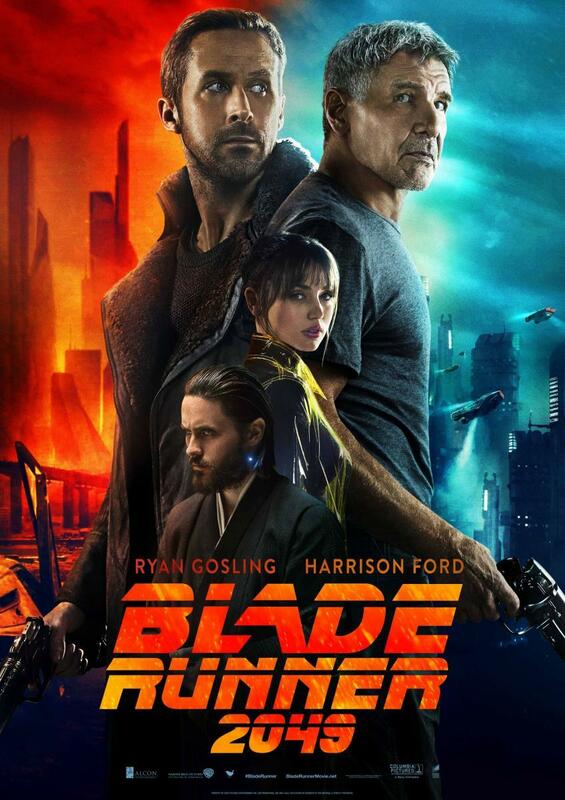 Set thirty years after the original “Blade Runner” (which similarly bombed in theaters, before becoming a cult classic), “2049” follows Agent K (Ryan Gosling), one of the titular Blade Runners. The Blade Runners are police officers whose sole job is to “retire” (read: kill) rogue replicants, which are animatronic robots who closely resemble humans and are used for slave labor. K is himself a replicant, albeit a newer model that is designed to obey orders, unlike the older models whose free will poses a potential threat to humanity. While on a mission to retire a replicant named Sapper Morton (Dave Bautista), K unearths a secret that could change his fate and steer humanity into chaos. On his journey to uncover the truth, he crosses paths with the first film’s protagonist, Rick Deckard (Harrison Ford), who went into hiding sometime after the end of the first film. Meanwhile, the leader of the corporate conglomerate behind the newer replicants, Niander Wallace (Jared Leto) looks to use this secret (and, by extension, K) for his own nefarious purposes. The futuristic setting depicted here (and in the original film) is not glossy but remarkably bleak in ways that worryingly mirror the present. It’s a world filled with food shortages due to environmental issues and corporations whose technologies seep into nearly every aspect of daily life. Even romance has been turned into a corporate commodity, represented by K’s holographic girlfriend Joi (Ana de Armas). The world of “2049” is not merely beautiful to look at, but a substantive polemic of the world of today. Unlike most blockbuster movies, though, the whole “fate of humanity hanging in the balance” plot is secondary, perhaps even tertiary, to the film’s the main focus. More important is that the world of “2049” and the characters who inhabit it are poetically crafted, not merely in the sense that they are beautiful and profound, but in the sense that they take on a heightened, often symbolic purpose, often to answer profound and challenging questions. What does it mean to be human, or, rather, alive? When does one cross over from being a mere robotic slave to an autonomous being? Is the joy found in modern life—like the artificially intelligent Joi—the result of cold-hearted corporate calculations? Is love a force for good, or, like Wallace’s henchman Luv (Sylvia Hoeks), is it a source of chaos and destruction? Yet it shouldn’t be assumed that “2049” is all commentary and no style: it is also one of the most beautiful films in recent memory, perhaps of all time. Director Denis Villeneuve (best known for last year’s “Arrival”) and his cinematographer Roger Deakins have crafted a stunningly beautiful vision of the future, one that manages to pay homage to the original film while simultaneously setting itself apart. Their world is filled with imposing darkness, blindingly intense weather conditions, and a harsh grey color scheme. Anything resembling the natural world is rare: there are no luscious forests, only dead trees and empty deserts extending infinitely in all directions. The cities are overcrowded, full of overbearing concrete slabs and shiny holograms to cover up their ugliness. But there’s a remarkable elegance to all the scenery, making the foreboding world of the future a wonder to observe. Villeneuve’s direction is superb: his action scenes are both minimalist and extremely tense, and every scene feels deliberately staged to highlight both the stunning visuals and the harshness of this dystopian future. Furthermore, Villeneuve is a master at directing his actors in order to elicit their best performances, from Gosling’s mix of vulnerability and tough guy masculinity to Hoeks’ remarkably unnerving turn as the villainess Luv. He helped turn Bautista, a former wrestler, into a genuine character actor with his brief but memorable role. All of this is to say nothing of Harrison Ford, returning as the original protagonist Rick Deckard and portraying him with heartbreaking bitterness: he’s a man whose lost everything dear to him and doesn’t expect to get them back anytime soon. Unfortunately, the film is not without its flaws, many of which feel like they could have been easily fixed. Jared Leto’s kimono-adorned villain is written as more of a campy cliché than a genuine threat. The film is quite long, and while its slow pace is refreshing, scenes often drag on. Exposition is clumsily forced into the dialogue, and the film tries too hard to keep the audience up to speed on the complex plot. None of these flaws are dealbreakers, but they are frustrating considering a quick script polish or minor edits could have fixed nearly all the faults. Yet, in spite of its problems, “Blade Runner: 2049” is still a remarkable film. It is not only one of the greatest sequels of all time, but a beautiful work of art in its own right. Villeneuve has further solidified himself as one of the greatest working filmmakers today, an epic storyteller who can lead us into his world of darkness and despair, and find hope in it. In its final moments, “2049” becomes one of the most life-affirming films in recent memory. It superbly reminds us that, in spite of the soullessness of modernity, the cruelty of humanity, and all the suffering that comes with living, there are always miracles worth fighting for.